The City of Houston, in partnership with the Texas Water Development Board, is in the process of submitting a grant application on behalf of interested homeowners to the Federal Emergency Management Agency (FEMA) for the Flood Mitigation Assistance (FMA) Grant. This grant will request funds for elevation of flood-prone homes. Only Homeowners who have flood insurance from FEMA’s National Flood Insurance Program (NFIP). The flood insurance must be effective at the time of the grant application and be maintained throughout the process. If awarded, this grant will pay 75% to 100% of the eligible costs to elevate your home. For this grant, home elevation means that your existing house will be lifted so that the lowest floor is at least one foot (1') above the expected flood elevation and a new foundation will be built to support your home. What are my chances of receiving a grant award? FMA is a nationally competitive grant program. Homeowners who have the strongest chance of award are those who own a property with a history of receiving large FEMA NFIP flood insurance claim payments over time. For this reason, the City’s application will focus on FEMA designated high priority Severe Repetitive Loss properties. High priority Severe Repetitive Loss properties are homes for which the total of two or more flood insurance claim payments for building damage (not including contents) exceeds the FEMA calculated value of the home (not including land). To have a chance of award, FEMA must save more by avoiding in future flood claim payments, than it costs FEMA to elevate your home. THERE IS NO GUARANTEE OF AWARD. Gather the required documents. To view sample required documents see the link below. In person at the Floodplain Management Office (FMO) located at the Houston Permitting Center, 1002 Washington Avenue, 3rd Floor, Houston, TX 77002. In person at the City of Houston 2017 FMA Home Elevation Grant Informational Meeting. TO MEET FEMA’S DEADLINE, HOMEOWNERS MUST SUBMIT THEIR INFORMATION TO FMO BY FRIDAY, AUGUST 25, 2017 AT 5 PM. Review the 2017 Flood Mitigation Assistance Grant FAQs. Monitor houstonrecovers.org. All 2017 FMA grant announcements will be posted here. Attend the City of Houston 2017 FMA Home Elevation Grant Informational Meeting on August 15, 2017 at 6:30PM at the Metropolitan Multi-Service Center, 1475 W. Gray St., Houston, Texas 77019. 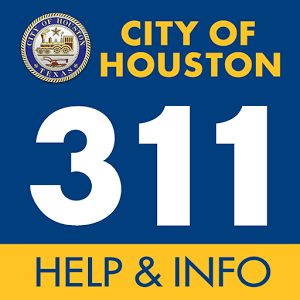 Contact the City’s Floodplain Management Office with your questions at 832.394.8854 or fmo@houstontx.gov.